Recruitment through social media is hype today. Human Resource department is actively building a profile and database on various social networks to connect with potential candidates through employee experience, special initiatives and articles. Now companies are using Twitter, LinkedIn, and Facebook to check on the candidate’s background, connect with them, assess and analyse their activities and find the right role for them. Job recruitments in India, like the west seem to be finding a sync in with social media as well. 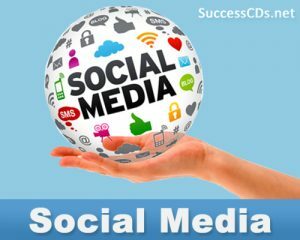 According to a recent survey of job seekers worldwide use social media networks to find a job; 56% prefer Facebook, 38% use Google Plus and 34% pick LinkedIn. In India, 66% job seekers use social networking sites with Facebook topping the list, followed by LinkedIn. Now companies run various interesting rallies on social media, for example they set up fun and design programmes for candidates from where they offer job opportunities also. PepsiCo India’s Change the Game campaign in 2016 saw over 1,700 registrations through social media platforms. The challenges saw participants go all out, from being creative with selfies to designing a product/service around health and nutrition. Some winners got a chance to work at PepsiCo, while others partnered to turn their ideas into reality. The fear of being checked out on a social media platform before being hired has also made people in general more cautious about what they share or whom they interact with publicly, in the name of keeping a clean, recruitment-friendly profile. But once the recruitment process moves into the assessment cycle, there is limited impact from social media.